Too often, we find ourselves feeling dissatisfied in life but without any idea where to start to do something about it. 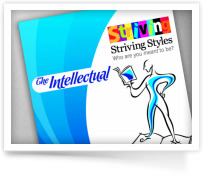 Knowing your Striving Style gives you insight to break longstanding patterns and habits that get in the way of achieving your goals and feeling satisfied with your life. 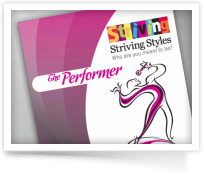 Whether your challenge is in your relationships (at home or work), in your career or your role as a parent, our Striving Style reports will give you the answers you need to get the life you want, starting today. Choose from printed hard copy (shipped) or digital (download) versions of the reports. Digital versions include restrictions: View only (cannot be printed) and are accessible only by purchaser (require login to access). Want to know why you behave the way you do in relationships? Wonder why you keep running into the same emotional barriers to intimacy? Want to understand your partner, children, friends and coworkers? 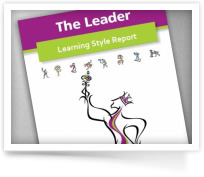 This report provide you with powerful insight into your Relationship Style and what you need to do to get your predominant need met. You will learn how your Style strives to get its needs met in relationships and daily life; what your need satisfiers and dissatisfiers in relationships will be, and how you are most likely to communicate, handle conflict, and approach romance and intimacy.